For almost four desperate years between 1939 and 1943, British and American navies fought a savage, losing battle against German submarine wolf packs. The Allies might never have turned the tide of that historic battle without an intelligence coup. The race to break the German U-boat codes is one of the last great untold stories of World War II. David Kahn, the world's leading historian of cryptology, brings to life this tense, behind-the-scenes drama for the first time. 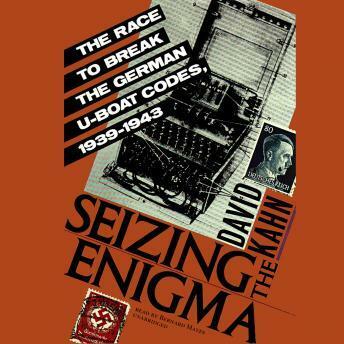 Seizing the Enigma provides the definitive account of how British and American code breakers fought a war of wits against Nazi naval communications and helped lead the Allies to victory in the crucial Battle of the Atlantic.